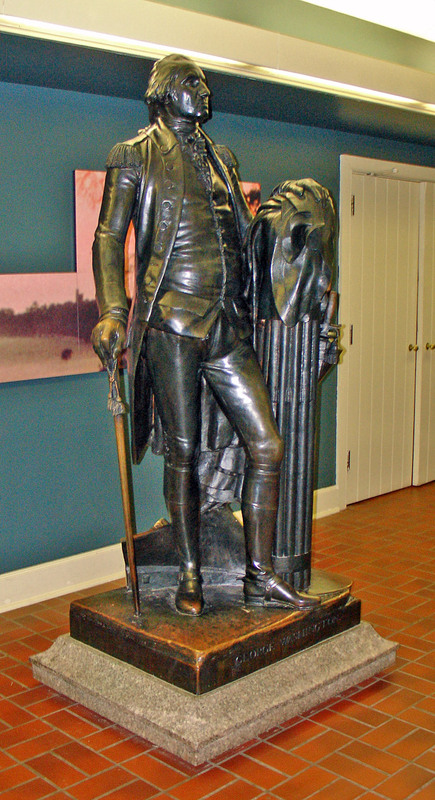 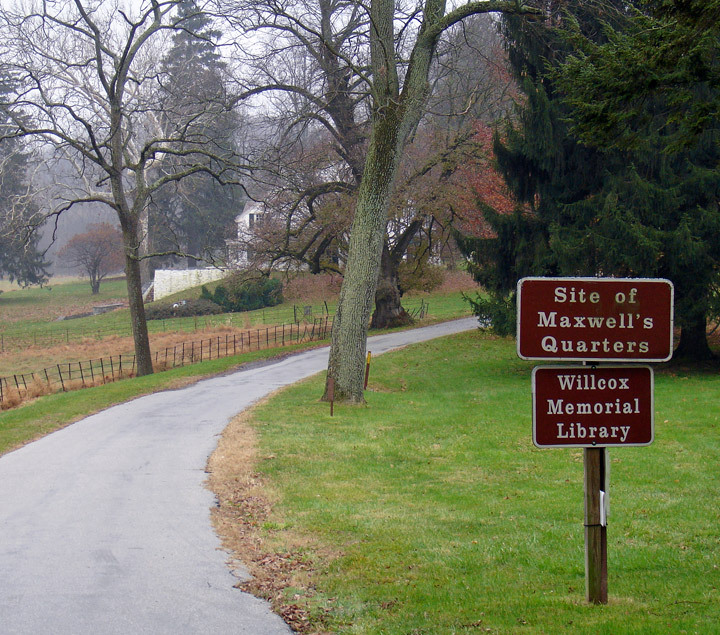 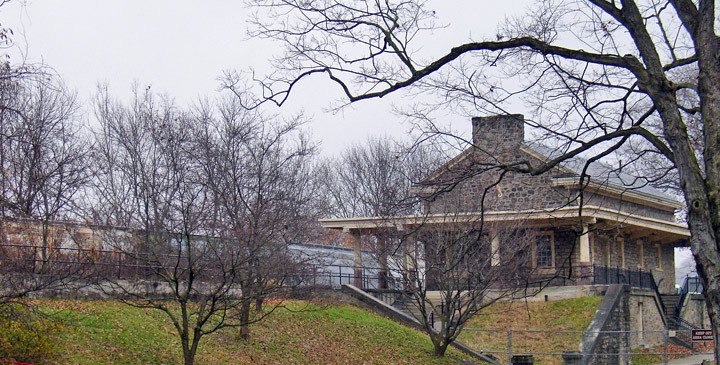 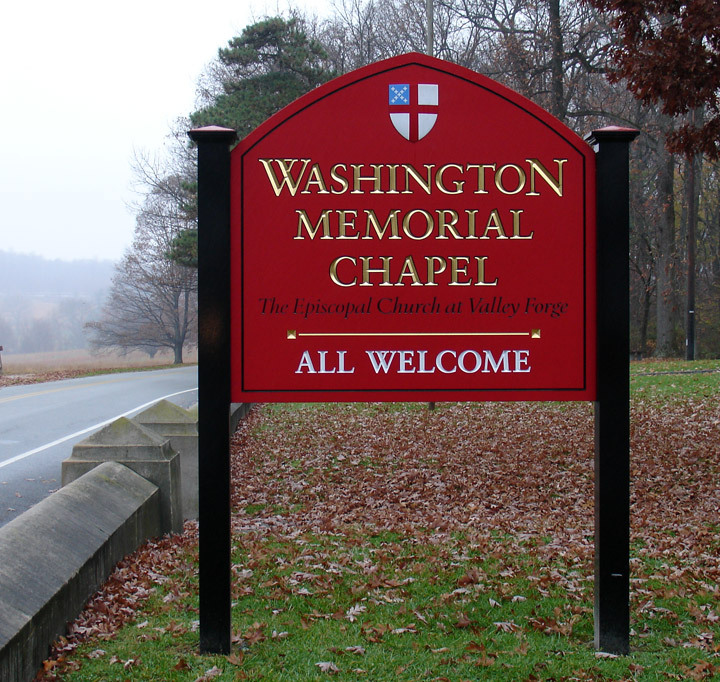 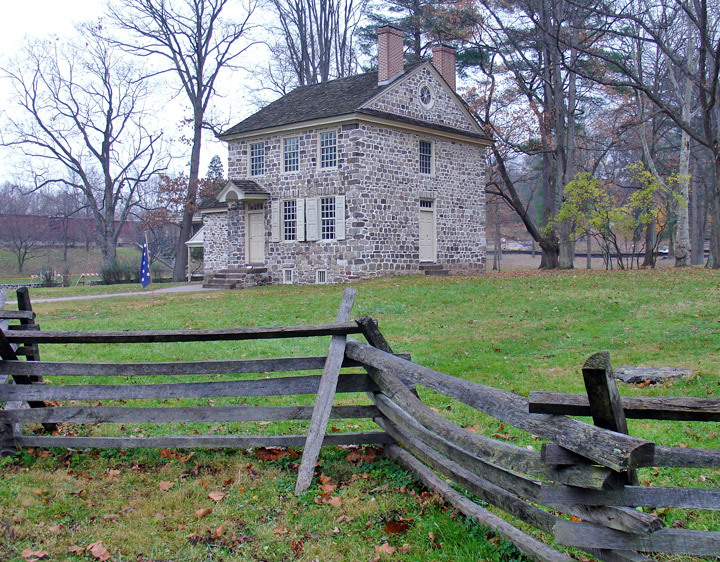 Valley Forge is perhaps the best-known place name associated with the American Revolution. 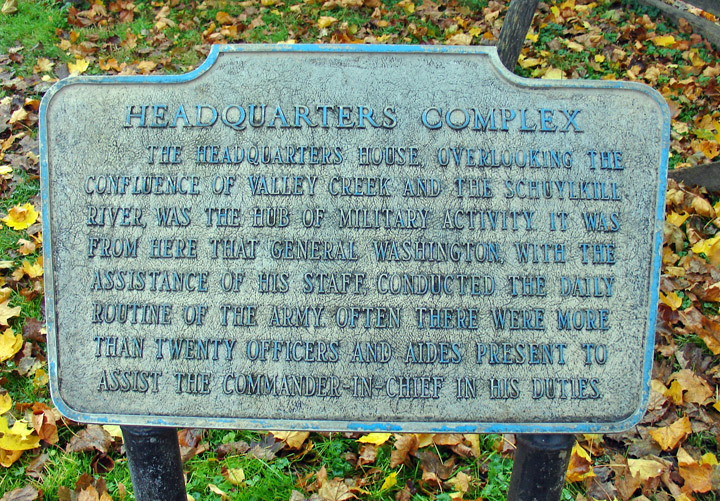 To truly enjoy the park, it is important that you understand the significance of the events associated with the winter encampment of 1777-78. 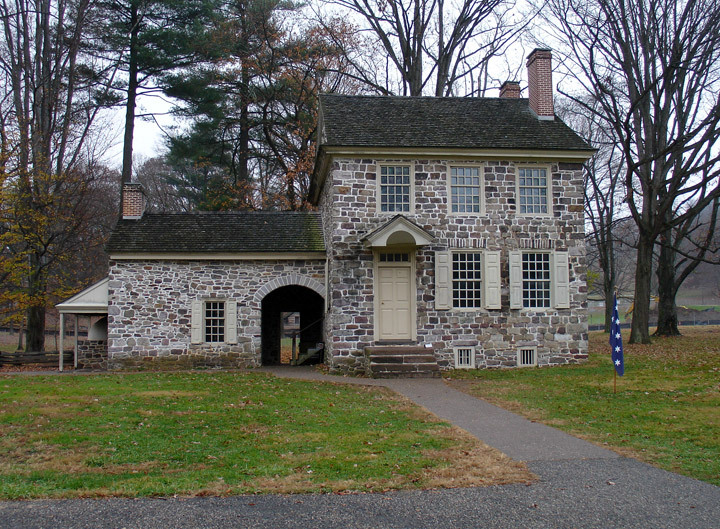 Within a week of the army's arrival at Valley Forge, General Washington recognized that he would need a place to organize and orchestrate the plans for the entire army that, in addition to the troops at Valley Forge, were spread throughout the colonies to the north and south of the encampment. 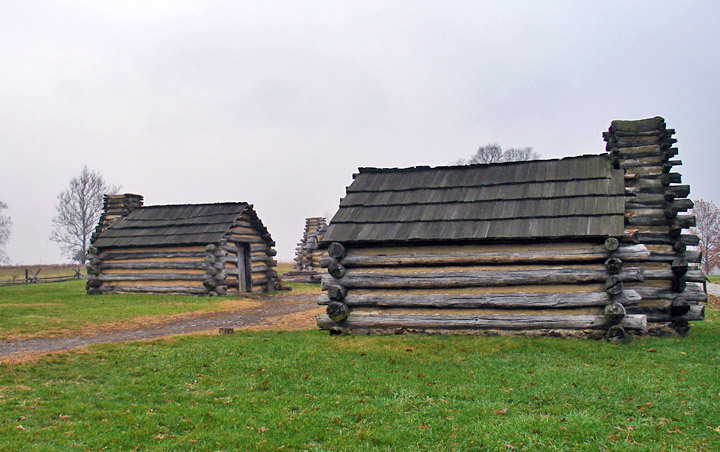 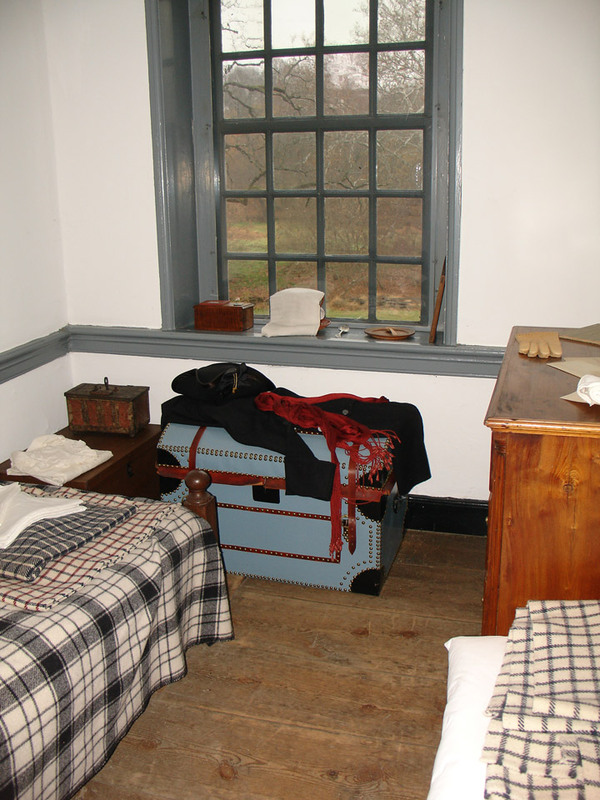 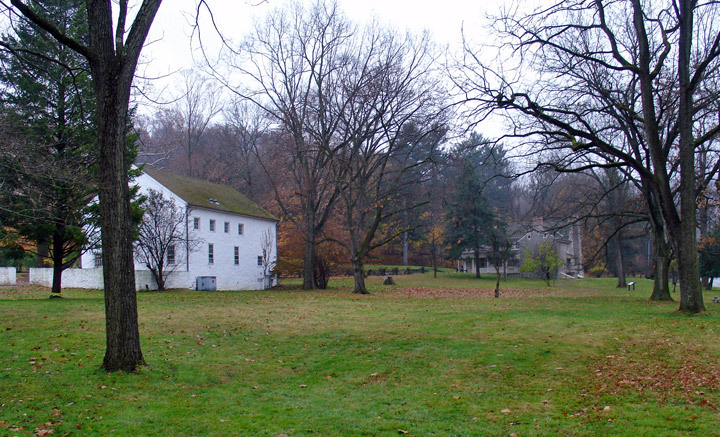 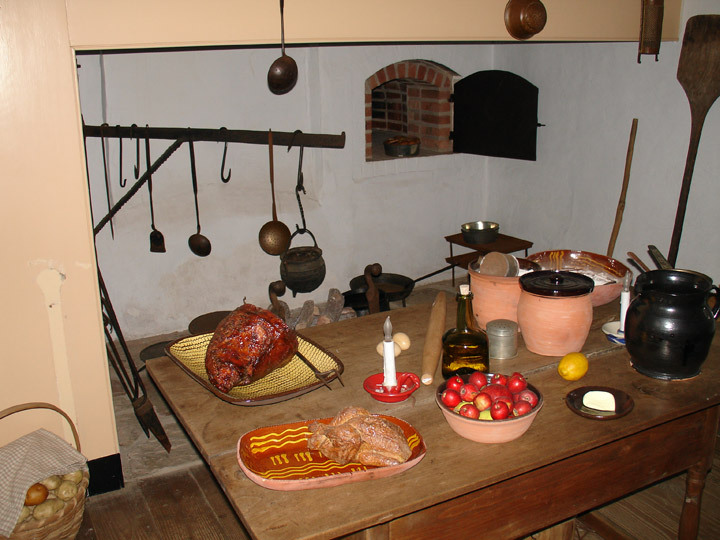 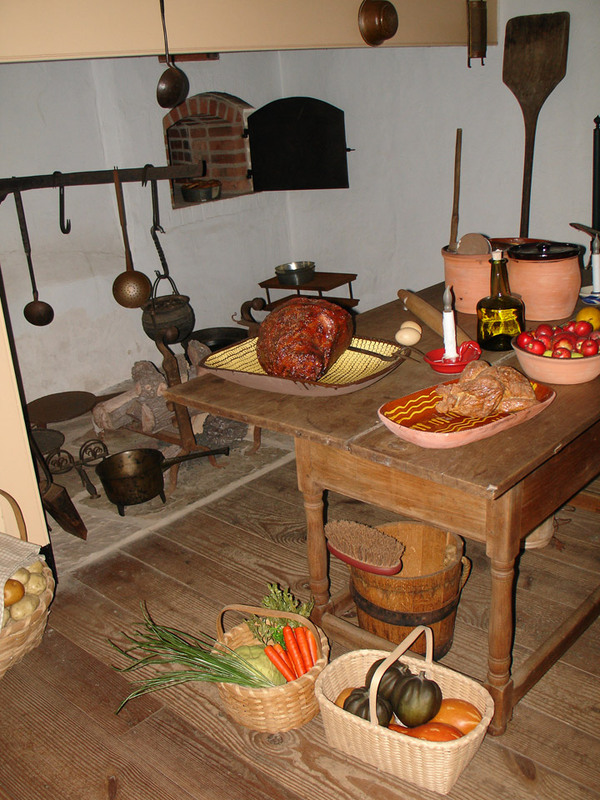 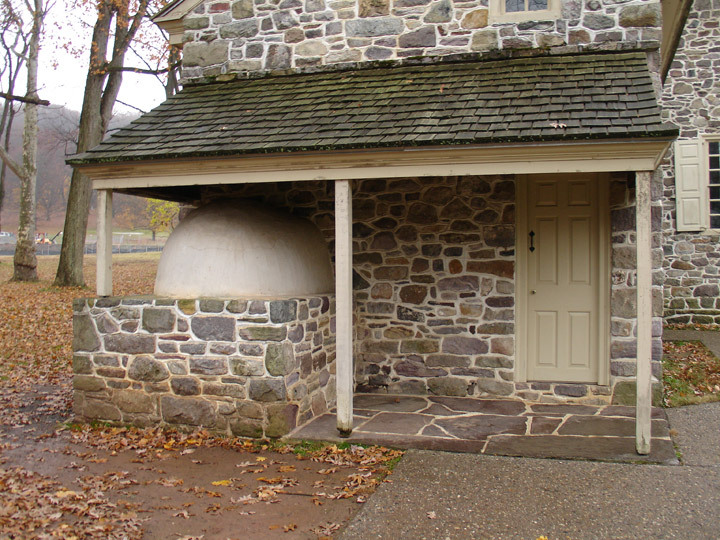 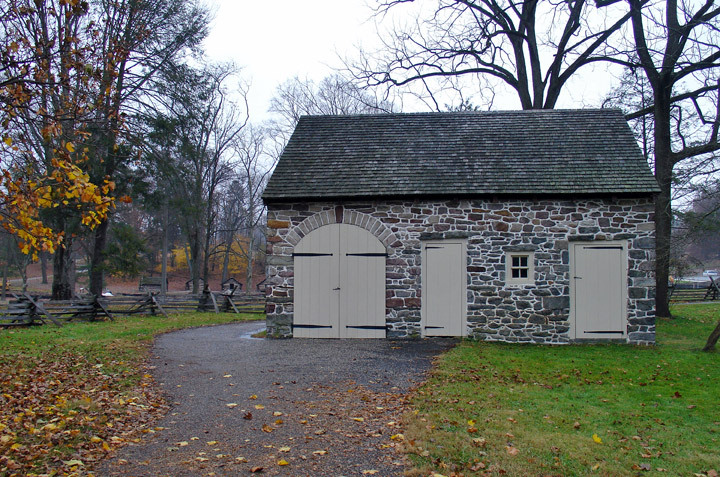 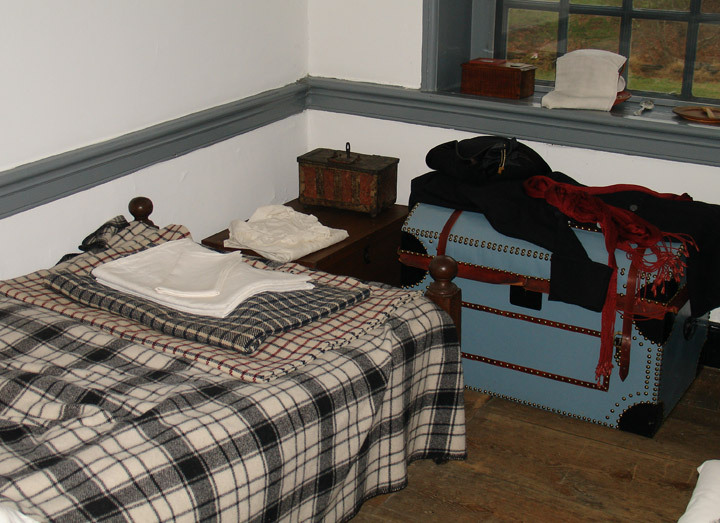 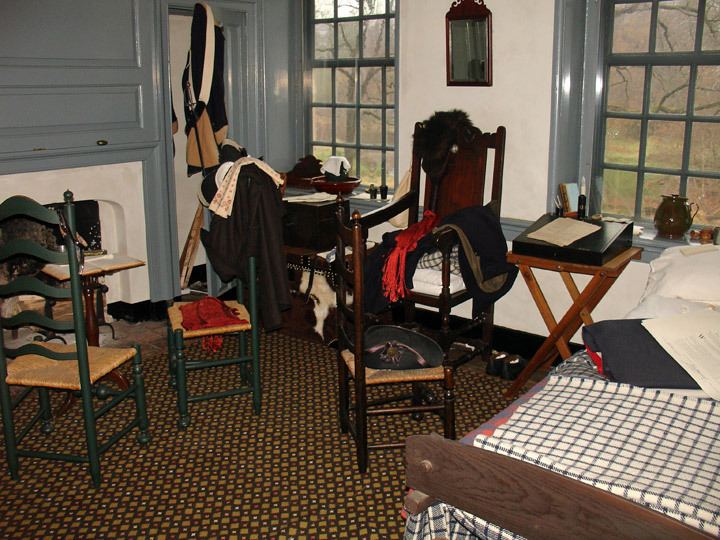 Although the majority of the troops residing at Valley Forge through the winter of 1777 and spring of 1778 lived in huts, many of the General Officers shared or rented local farm houses. 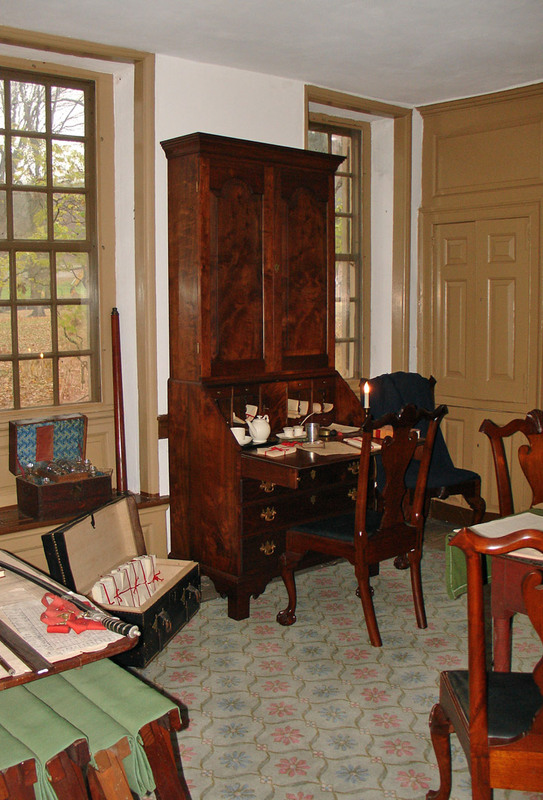 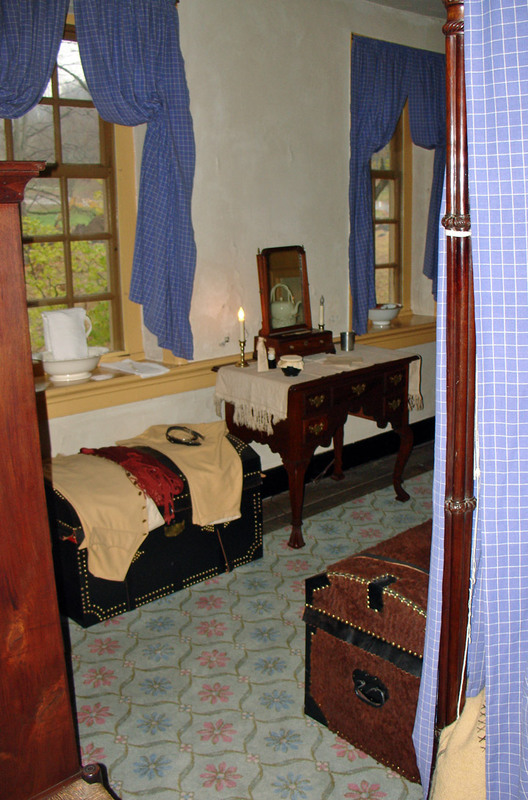 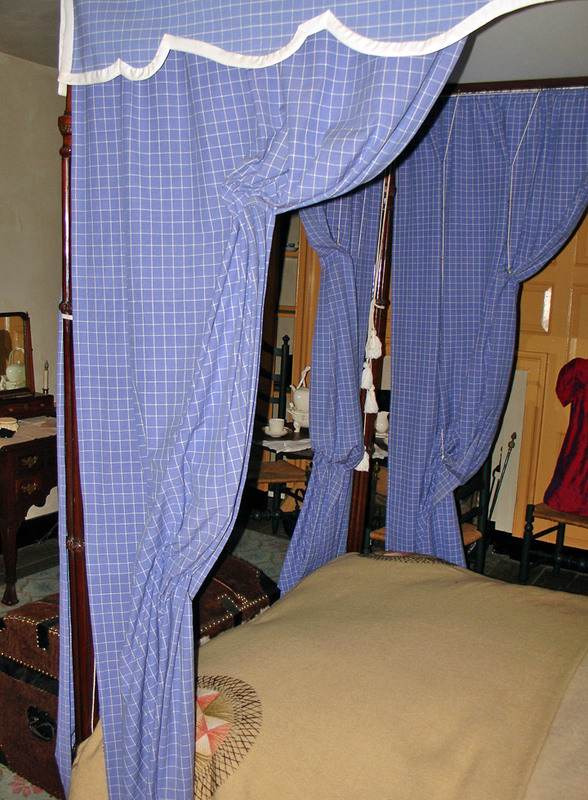 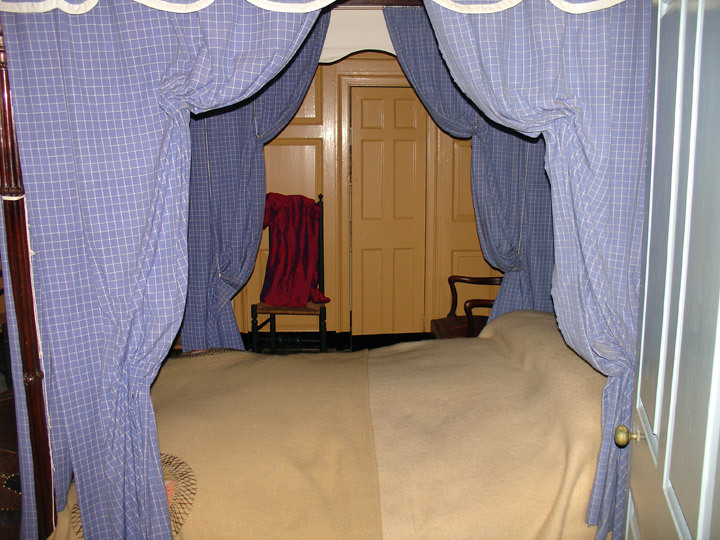 This practice was customarily done to accommodate the needs of a general's staff and aides. 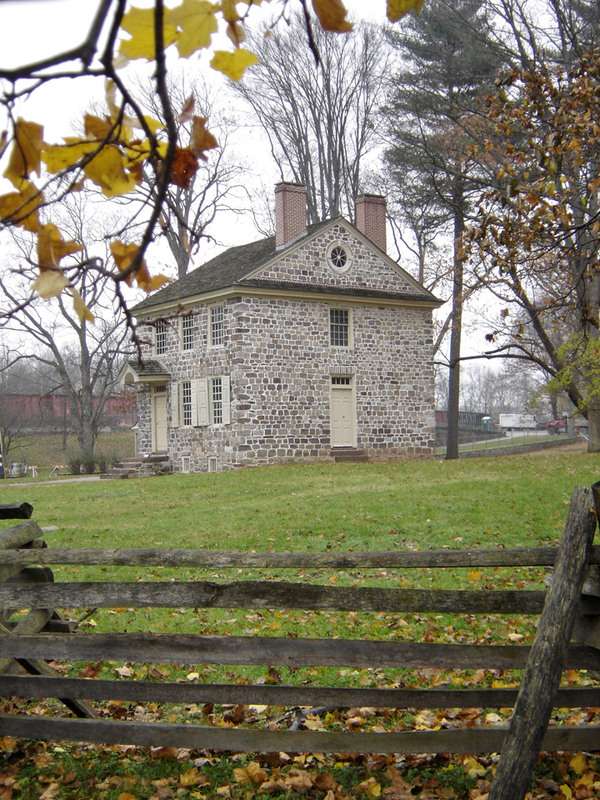 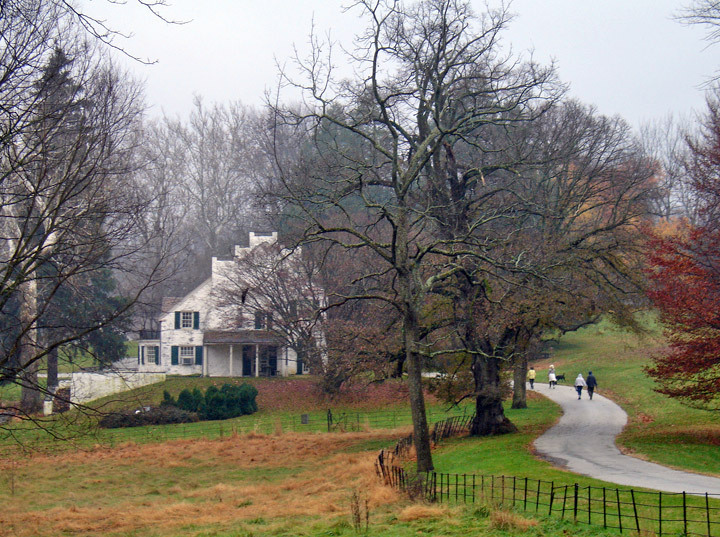 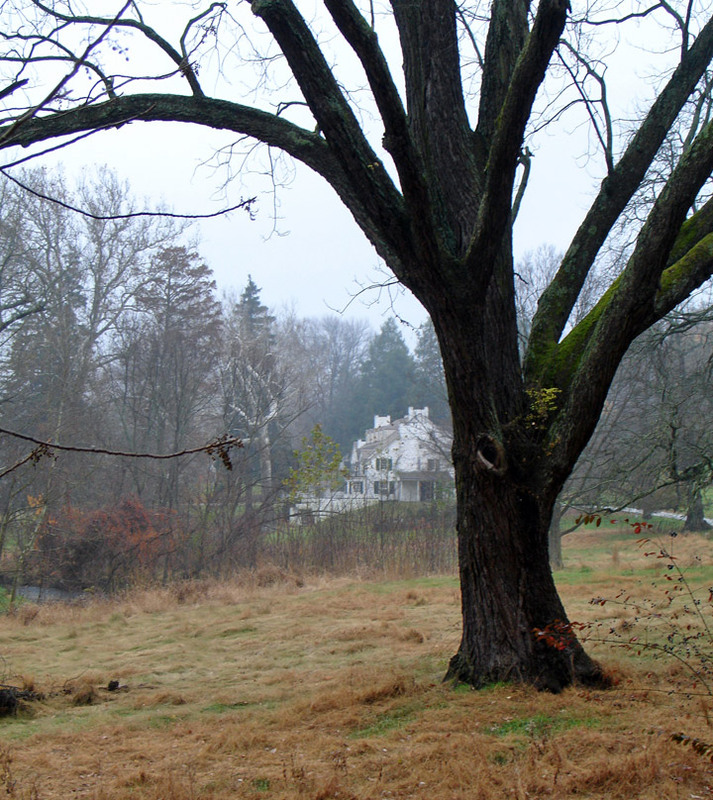 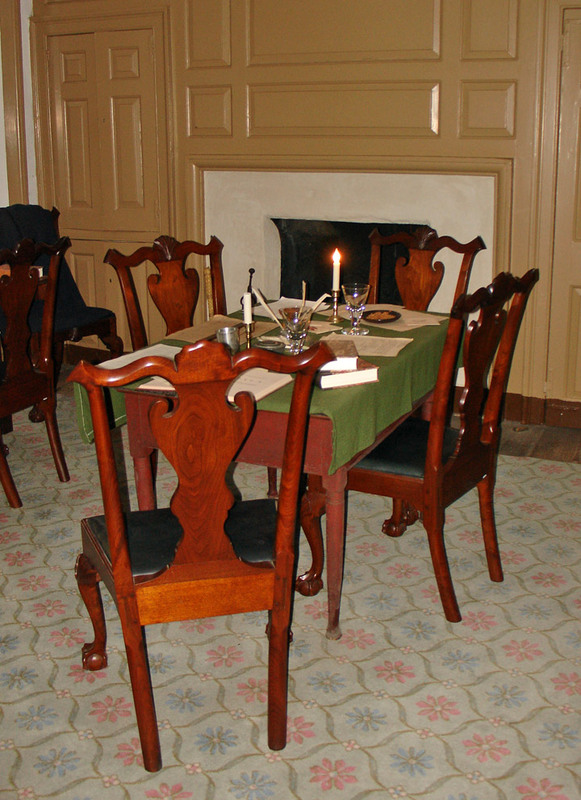 General Washington rented this house, owned by Isaac Potts, from its occupant, Mrs. Deborah Hewes. 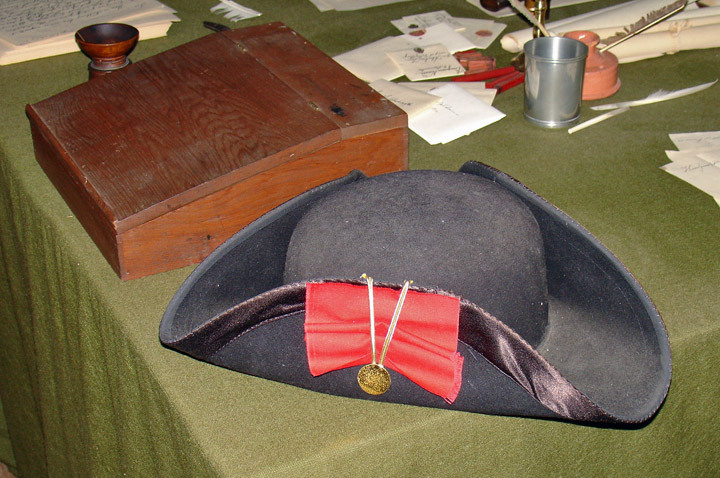 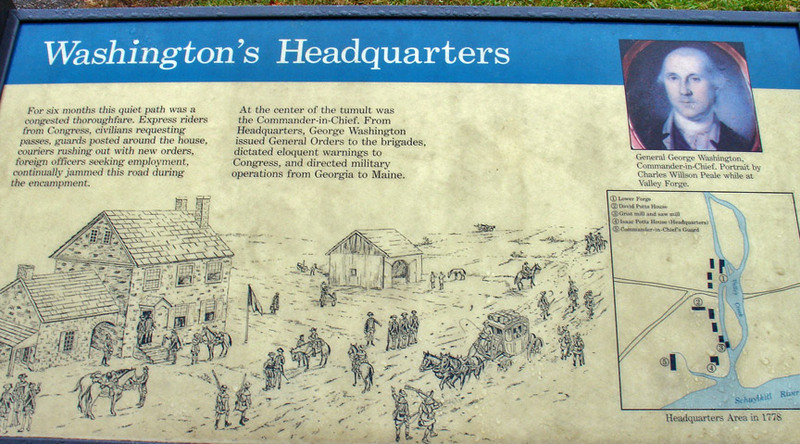 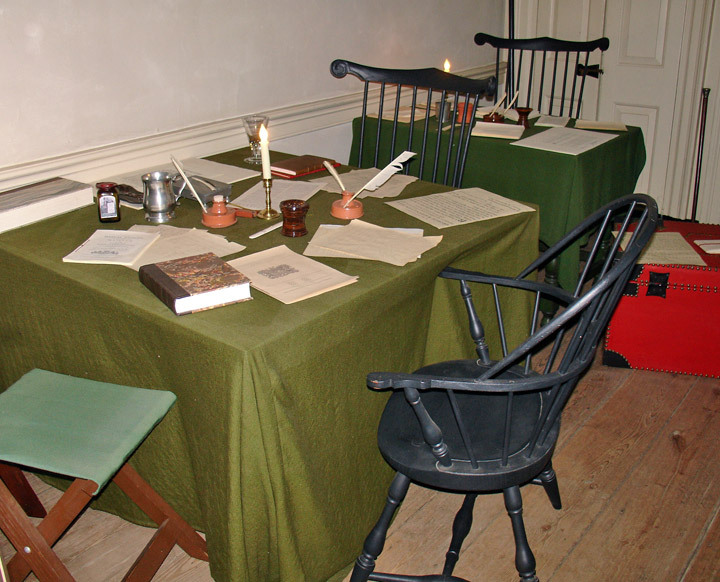 Here the General and his staff received local officials and foreign dignitaries, in addition to coordinating the daily operations of the of the entire continental army. 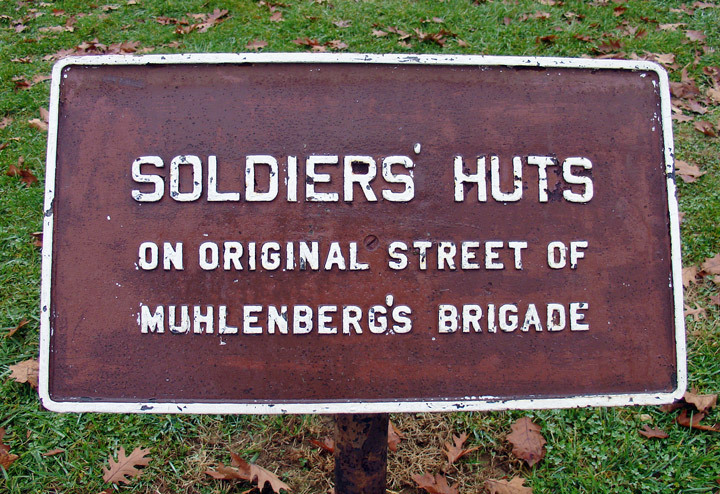 Following their arrival December 19, 1777, the men immediately set to work building huts for shelter. 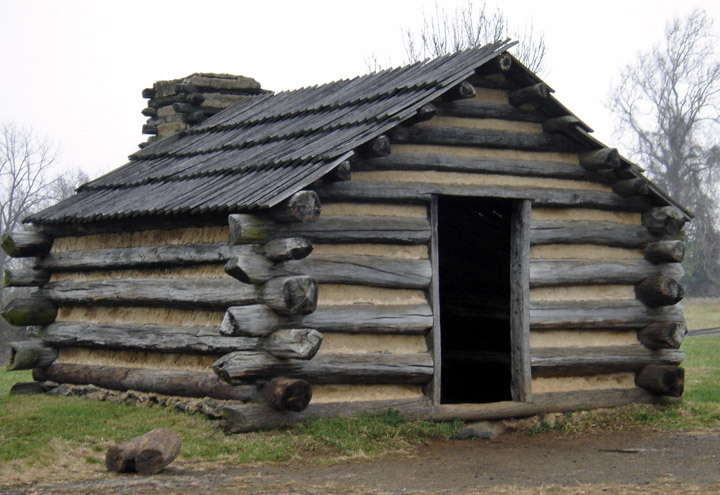 General orders the preceding day specified the size and design of the huts: 14 x 16 feet each, 6 1/2 feet high, a door next to the street and a fireplace in the rear. 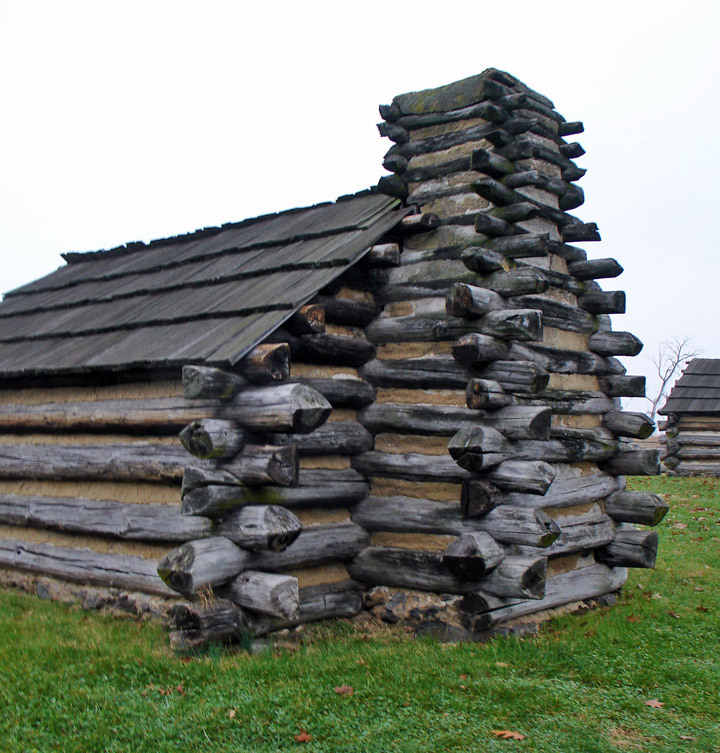 "have one Dull ax to build a Logg Hutt. 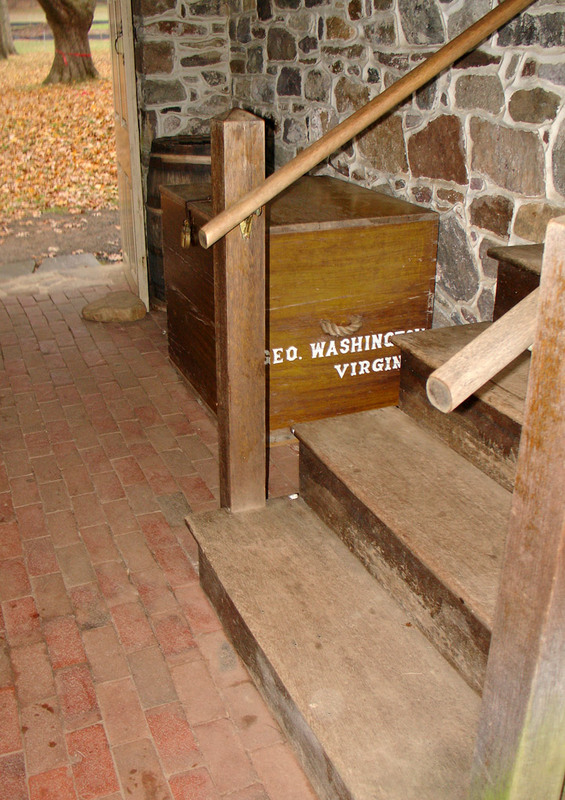 When it will be done knows not." 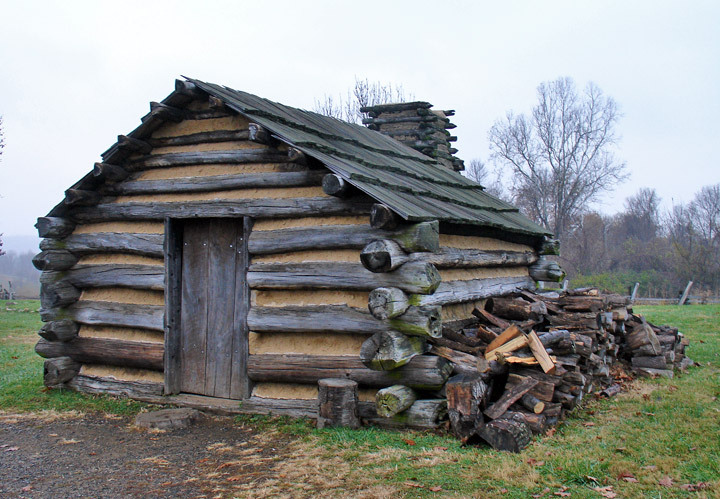 "And as an encouragement to industry and art, the General Promises to reward the party in each regiment, which finishes their hut in the quickest, and most workmanlike manner, with twelve dollars." 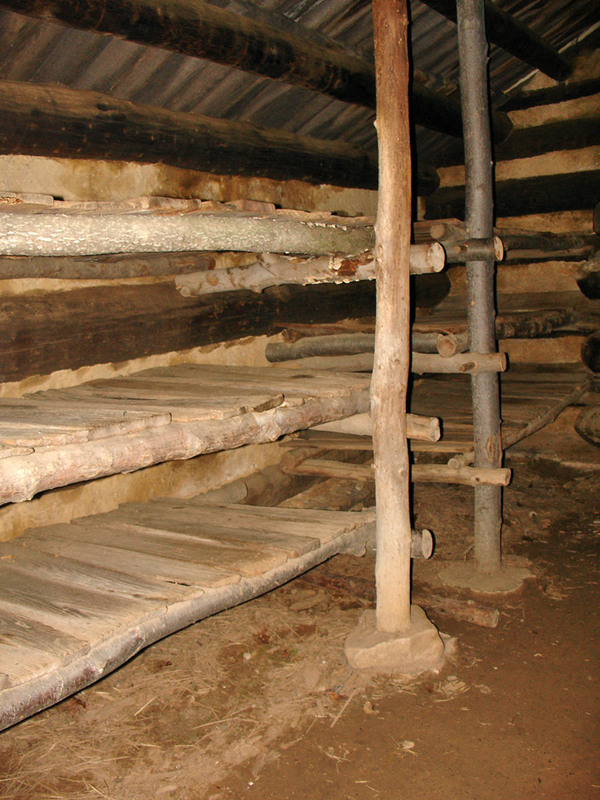 By mid-January most soldiers were housed, twelve to a hut. 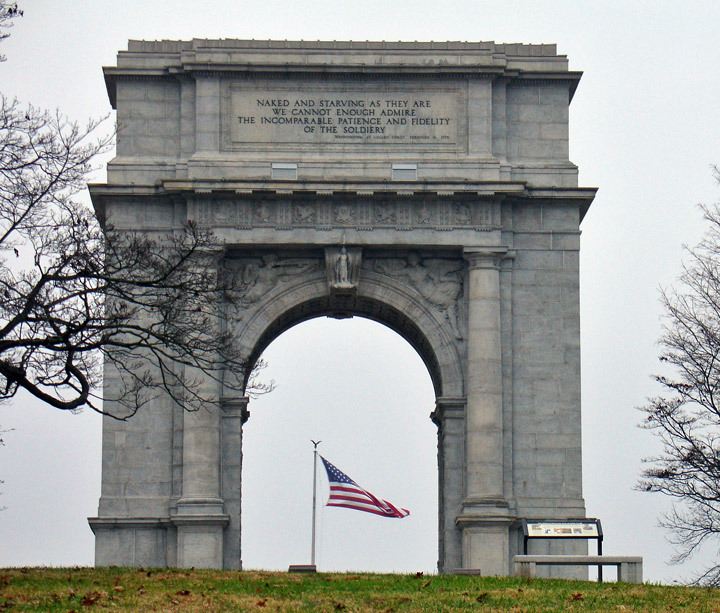 The most striking monument in the park, the Arch was authorized by the Secretary of War in 1910, and transferred into the custody of the Commonwealth of Pennsylvania on June 19, 1917--the 139th anniversary of the evacuation of Valley Forge. 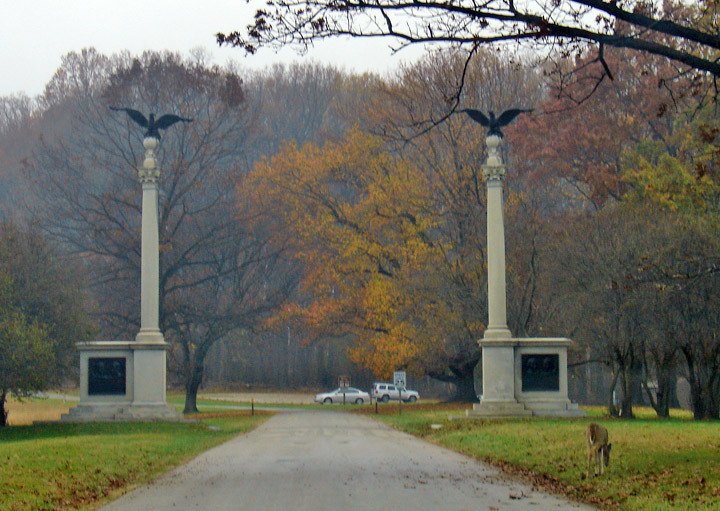 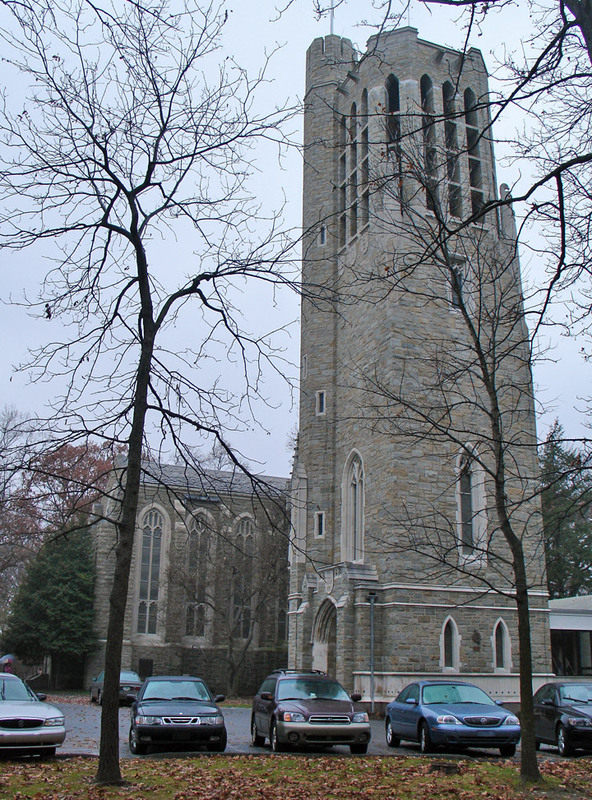 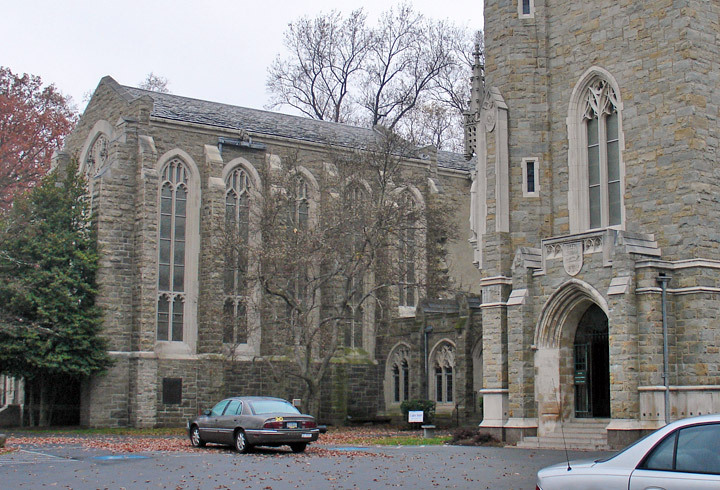 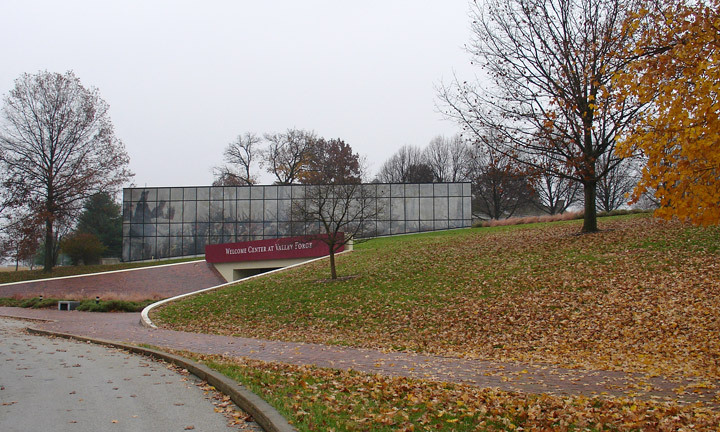 Designed by University of Pennsylvania professor Paul Philippe Cret, the Arch is built in a style "similar to the Arch of Titus, in Rome," and it "faces Gulph Road, over which the weary and ragged regiments marched to their camps." 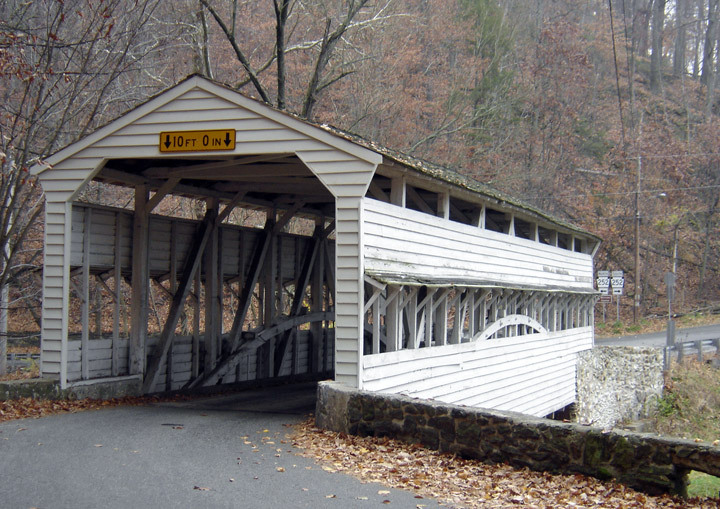 The Arch cost $100,000, to construct; topographical improvements after it was put up cost $35,000. 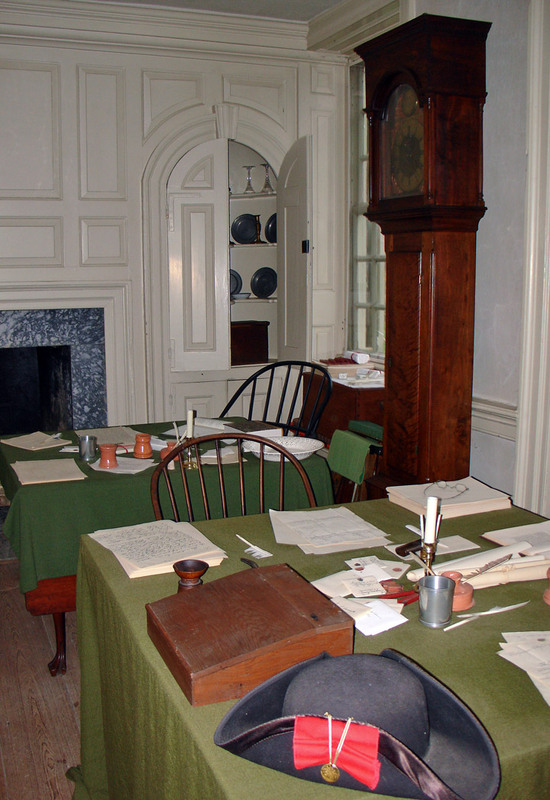 "Resolved unanimously, that the thanks of Congress be presented to Brig. 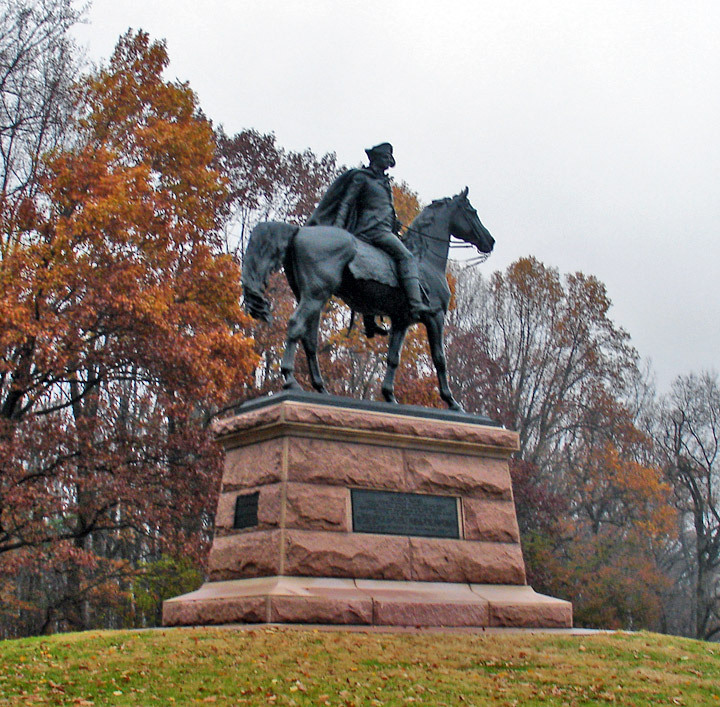 General Wayne for his brave, prudent and soldierly conduct in the spirited and well-conducted attack on Stony Point; that a gold medal emblematical of this action be struck and presented to Brig. 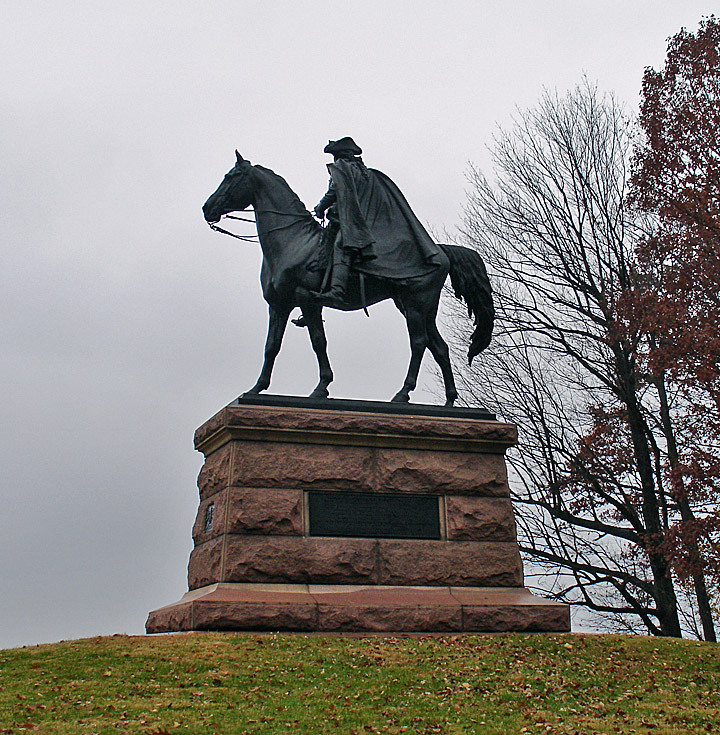 General Wayne"